With graduation around the corner, many soon-to-be graduates are ready to start their new life outside of school. But where the hell do you start? Graduating is a huge milestone, but with graduation also comes that one annoying question that I’m sure all graduates are tired of hearing. “What are you doing after graduation?” 🙄 Truth is, many of us may not know. There are so many things to consider, like are you staying in your college city or are you moving back to your hometown? And if we’re being honest, I don’t think any of us want to think that far ahead. With all the violence that’s been taking place throughout Mexico and near Cancun, I know this might not be on the top of anyone’s vacay lists, but it is one of the cheapest places to travel to. Leaving from L.A.X. your flight would be under $300! Hotels aren’t bad either, starting from anywhere as low as $30. Of course, prices depend on location and how good a hotel is but even 3-star hotels average around $50. There’s no doubt your money will go a long way during any trip to Mexico. Located on the Yucatán Peninsula, on the shores of the Caribbean Sea, Cancun is a tourist hotspot known for its beautiful beaches. The Mayan Ruins are also nearby! Affordable flight, cheap hotels, great food and a chance to visit one of the Seven Wonders of the World!? Sounds like an unforgettable trip. Recovering from Hurricane Maria, Puerto Rico is the perfect place to visit and give back to the community. Although tourism is down, most businesses are up and running. San Juan is Puerto Rico’s beautiful capital, filled with historic vibrant Spanish colonial buildings and warm sandy beaches. Puerto Rico is the perfect place to escape to when you want to leave the United States but don’t want to travel too far from home. After all, Puerto Rico is a United States territory which means you won’t need a fancy passport to visit and your U.S. dollar will do just fine. 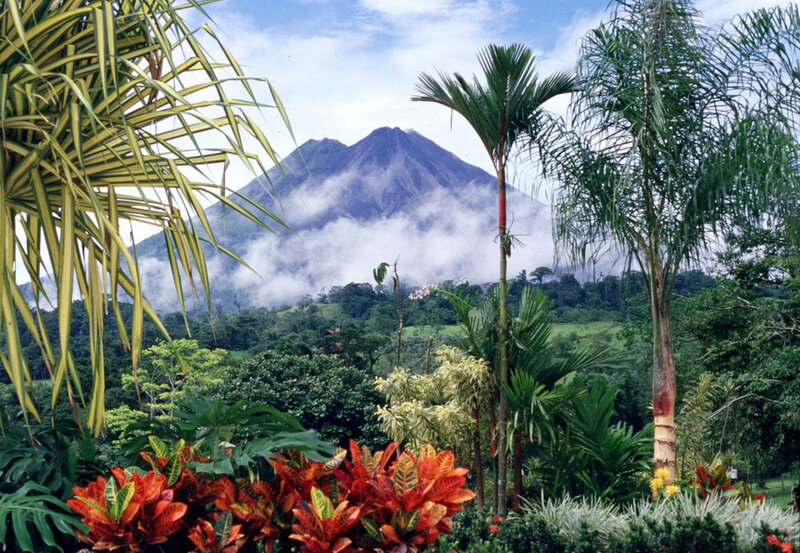 A trip to Costa Rica will give you a tropical escape. Boarded by the Pacific Ocean and the warm Caribbean water, you’ll have your assortment of beaches to pick from. If beaches aren’t your thing, then travel to nearby rainforests filled with an abundance of animals, insects, and plants. Don’t blow your top, Costa Rica also has many active volcanoes where you can experience volcanic mud massages or take a dip in the relaxing volcanic hot springs. Costa Rica is the perfect vacation to get lost in its stunning nature and forget about the outside world. Another country filled with historic landmarks and gorgeous wildlife, Ecuador is a must-see travel destination. Often referred to as having four worlds in one place, Ecuador is surrounded by the breathtaking Galapagos Islands, the ridged Pacific Coast, the high peaks of the Andes and the magnificent Amazon. Ecuador is a budget-friendly country to visit (besides the flight) accommodations, food, transportation, and activities are really cheap. If budgeted correctly, you can live off of $35 a day. Beaches, tigers, temples and floating markets! Thailand is a unique location all on its own. With its numerous islands, Thailand is known for its many white sandy beaches and turquoise waters. The flight to Thailand may be the most expensive one on the list, but while in Thailand you won’t tear your wallet. Everything in Thailand is cheap, from food to accommodations, you won’t have a problem getting by. Visit places you’ve always dreamed of, and experience rich new cultures on your next adventure, after all, you have nothing tying you down. If you want to check out more travel destinations, check out Nomadic Matt for your next trip.